I like to have a clear plan to work towards with books, so setting myself a reading challenge is something I find enjoyable and productive. For the past few years, my reading goal has been to read as many books as the last two digits of the year; I aimed for 13 in 2013, 14 in 2014, and so on… In 2016, I passed my goal of 16, and as the end of the year approached, I realised I could probably reach 10 more than my original goal. I only just made it, but I did! So, now my goal has changed to 10 more books than the last two digits of the year. In 2017, I aim to read 27 books. I know this number is not very big compared to other book bloggers and vloggers. I have always been a fairly slow reader, but over the past few years, with chronic fatigue and brain fog added to the mix, reading can be quite a challenge. But each year, I keep increasing the book total, so I am trying not to be disheartened by others’ significantly larger goals, and instead use them as inspiration to keep reading more and more. Within my overall goal, I want to make some specific goals this year. I had a phase a while ago when I read mostly non-fiction books. I felt like it was good to use the time spent reading learning something new. Then that changed and I read a lot of fiction. I still enjoy non-fiction books, and I want to make a conscious effort this year to balance it out with fiction. I definitely have not read enough classics, especially on my own accord. This makes me feel a fraud when I study writing at university! I think I have not been so attracted to them mostly because I do not like romances, and as many classics are romances (not all, I know! ), I have not picked them up. I plan to change this in 2017. I have realised that I often re-watch movies, yet I rarely re-read books. I have heard a lot of writers and avid readers say lately that re-reading is so important to pick up new information and messages in the book, to have time to reflect, to acknowledge a different perspective you might have now as opposed to when you first read it, and to enjoy the book again. I really like to read short stories. I think a lot people forget how enjoyable they can be. Instead of immersing yourself in a long story every time, it is nice to dip in and out of a collection. I also like to write short stories; I feel like they suit my writing style, and reading more of these will help. So, these are my reading goals for 2017. I am putting them here as a reminder to myself, and to hold myself to them. I would love to hear your reading goals for the year. Maybe you haven’t made any, and I hope this might give you some ideas. We can check in with each other through the year to keep each other going! I am a list person (big time! ), and combining this with my love of books results in a massive addiction to Goodreads! (Goodreads is a site where you can set goals, find book recommendations and reviews, rate and review books for own reflection, and make bookish friends and find out what they are reading too). 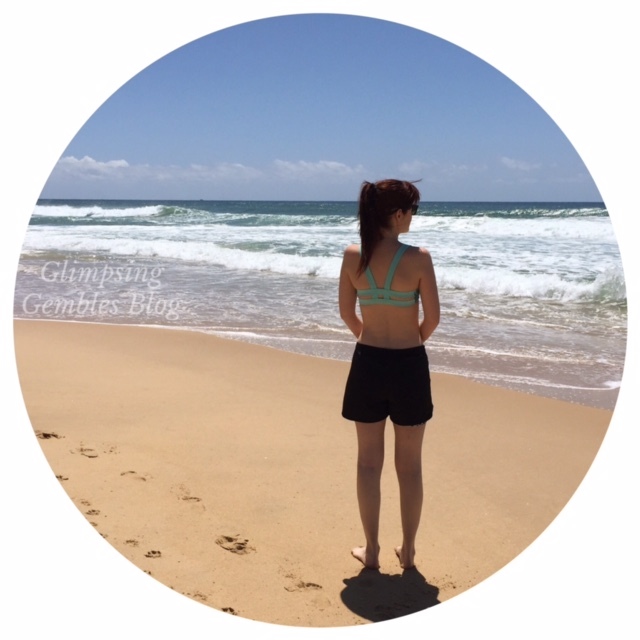 If you would like to follow me on Goodreads for book ideas and motivation, my account name is GlimpsingGembles (https://www.goodreads.com/GlimpsingGembles).